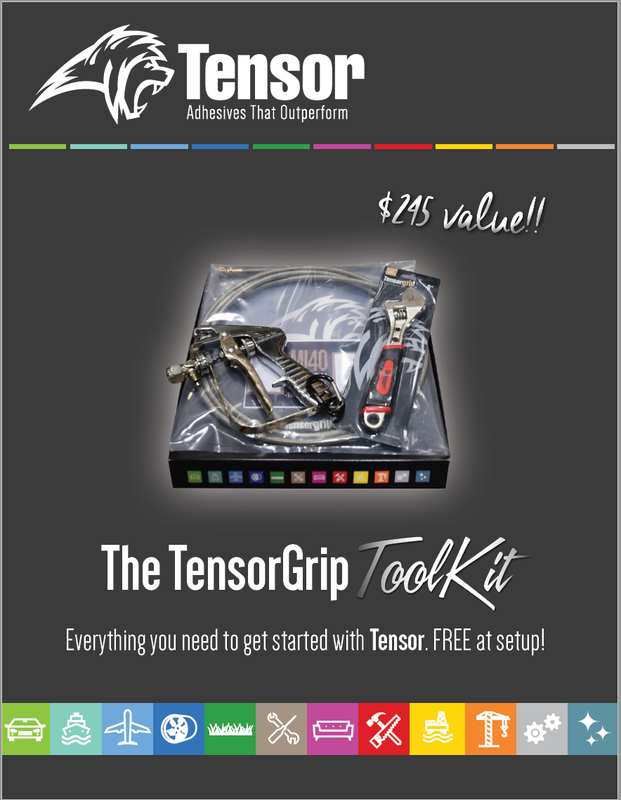 Everything you need to get started the Tensor way. Low maintenance, cuts time, saves money. All you need in one package - FREE with your first Tensor canister adhesive order! Valued at $245.